On Wednesday, March 13 the Faculty of Management Programs held a celebration to honour students who earned a place on the Dean’s Honour Roll in 2018. Over 200 students were recognized for their outstanding academic achievement of a semester GPA of 3.50 and more than 50 students attended the event on March 13. I was pleased to welcome students to the event and congratulate them on their achievements. They then had the opportunity to mingle with their instructors, fellow classmates, and faculty members and celebrate their academic excellence. 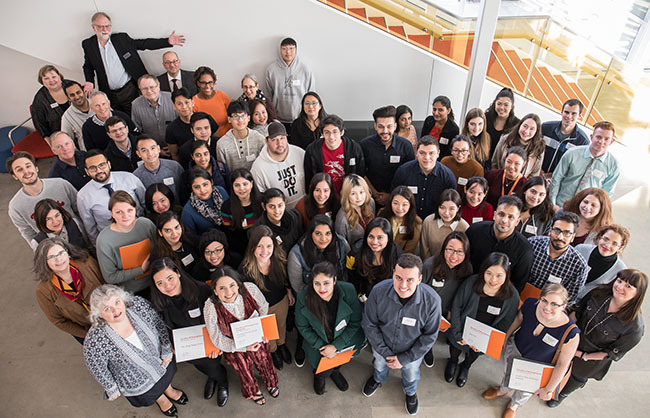 Thank you to all Langara employees who attended the event to congratulate their students and those whose hard work made this event a great success. View the Flicker gallery to see photos from the event.